Sweet Sugarbelle has selected some of her favorite cookie cutter pairings for her specialty “We Go Together” Valentine’s Day kits. Each specialty kit comes with 2 cookie cutters, 2 templates, 1 instruction card, and 2 BONUS templates. 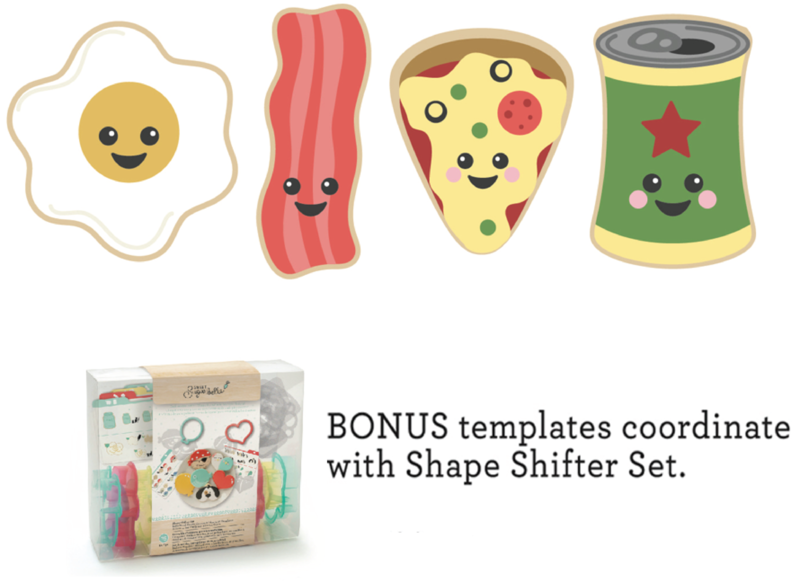 This simply adorable Bacon & Eggs Cookie Cuter set is sure to make your next Valentine set a crowd pleaser. And why stop there a brunch themed set would put theses sweeties to good use as well and the 2 BONUS templates of Pizza & Beer/Soda Can coordinate with the Sugarbelle’s Shape shifter set!